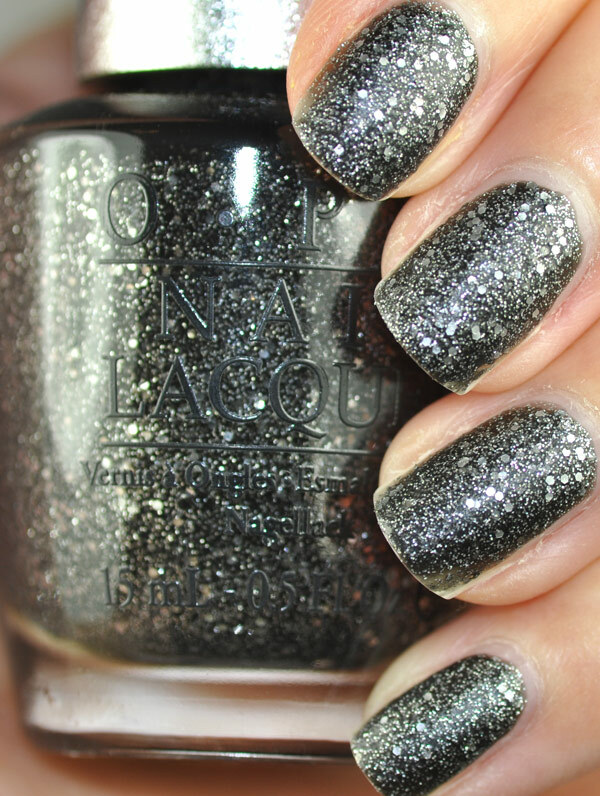 2 new Designer Series from OPI. These have a matte textured finish. Pewter 3 coats, no topcoat. With topcoat.Pewter was a little thick, but was very easy to apply. The glitter went on evenly and smoothly with 1 swipe. Fast drying. Looked really good at 2 coats but applied 3 anyway. 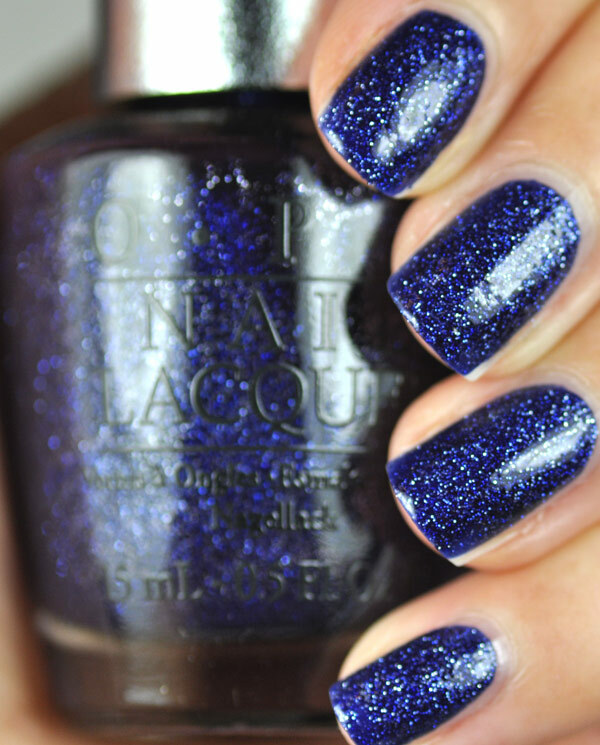 Lapis, 2 coats no topcoat. 2 coats no topcoat. 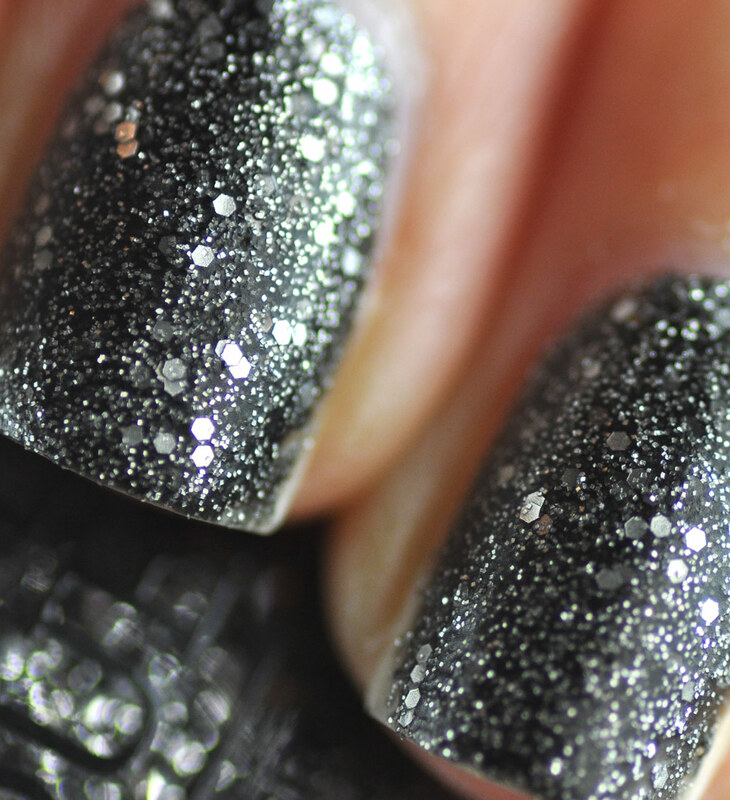 You can see up close that the texture is not like the Liquid Sand polishes, but more subtle. 2 coats with topcoat. Fine silver and blue glitter in a blue base. 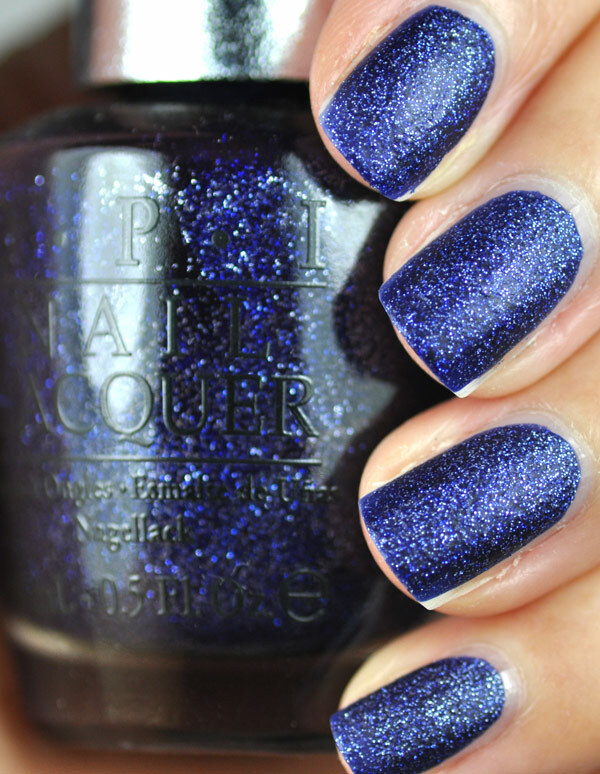 At first glance of the bottle I thought it was a deep purple but it is a pretty blue! For me this had a pretty thick formula which made it difficult to apply. I guess it makes up for it with opacity, only needing 2 coats. The matte finish just didn't really do it for me, I liked both the colors with topcoat more. I guess I am just a shiny girl! What do you think of the latest Designer Series colors? 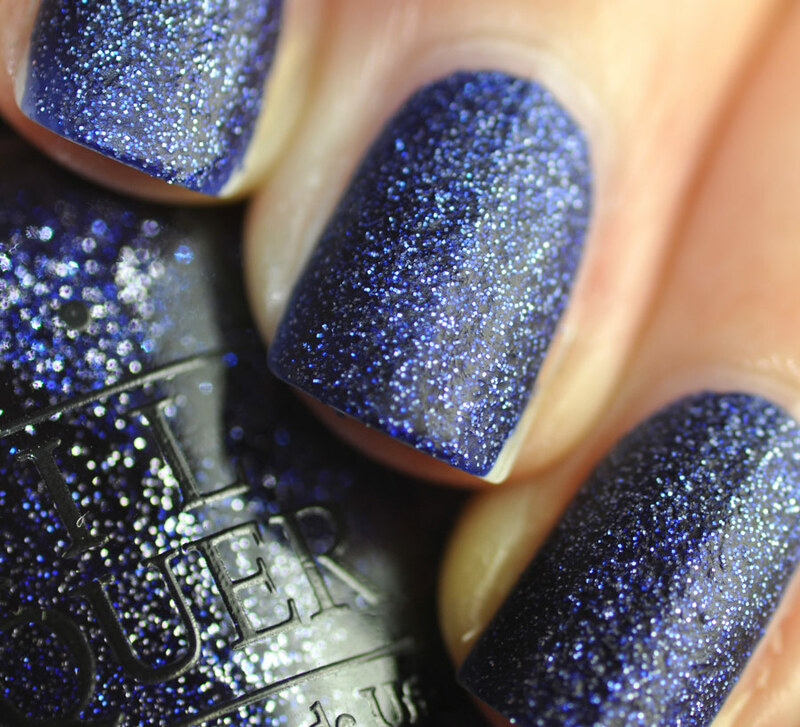 The DS shades will run you $12.50 at your authorized OPI stores.